Eid ul Adha is one of the prestigious festivals of the Islamic calendar. Eid ul Adha is marked as the end of the Hajj, where the Muslims perform the obligation of Hajj, goes to the point to making the sacrifice of the animals which is the Sunnah of Prophet Ibrahim AS. Eid Ul Adha is popularly signified as the Festival of Sacrifice. The incident of Hazrat Ibrahim, who saw a dream that Allah has asked him to make a sacrifice of his son to Him. 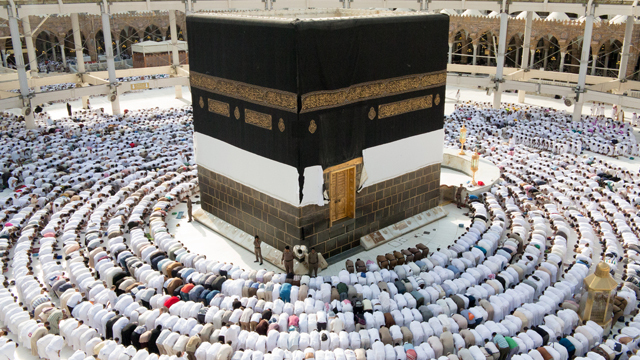 In order to raise the foundations of Kabbah, black stone and Muslim shrines in Madinah. 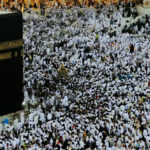 Without raising any further questions, he responded to Allah’s orders and asked his son Hazrat Ismael AS to come along in Makkah for the sacrifice. As soon Hazrat Ismael was told about the dream, he agreed to his father without any question and become submissive to carry out the commands of Allah ﷻ. Hazrat Ismael was brave enough to give his life for Allah. Well, Allah ﷻ is the most merciful and loving, was pleased with the Hazrat Ibrahim AS and Ismael AS intentions of sacrifice and a miracle happened. Instead of Hazrat Ismail, a lamb was replaced by the boy’s life. Thus, Hazrat Ibrahim sacrificed the lamb ultimately. 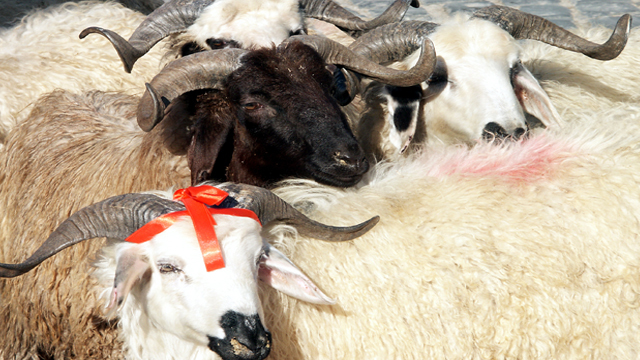 What Eid Ul Adha Commemorates? This event tells about the great feast of the sacrifice made and thus Allah ﷻ orders to follow this ritual every year after Hajj. People now make a sacrifice of the lamb, goat, cow and or any other halal cattle, distribute its meat among friends, relatives, family and poor souls. As a consequence,Eid ul-Adha is celebrated all over the world by Muslims to commemorate the trials and triumphs of the prophet Ibrahim AS. The celebration is to remember the intentions and sacrifice made by Hazrat Ibrahim, who followed the Lord commands, shows the blind faith on Allah. Eid-ul-Adha commemorates the selfless act of Prophet Ibrahim when he sacrificed his Son Prophet Ismail AS to Allah SWT to follow the orders given in his dream. Prophet Ibrahim AS is amongst those chosen ones who are tested with hardest trials and still exceeds with triumph and proves the true love for the Almighty Lord. 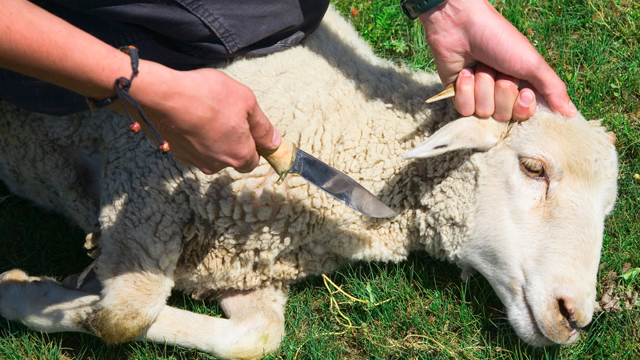 Allah accepted His sacrifice and miraculously replaced Ismail AS with a lamb. In Surah Nahl, ayah 120-121, Allah glorified Prophet Ibrahim AS as His believer. The act of sacrifice is to create a habit of donating and sharing. It symbolizes our willingness to give-up anything that is close to our hearts, for the sake of Allah. On the morning of 10th of Dhul-Hijjah, Muslims around the world offer special Eid prayers in their best clothes. After prayers the animals are slaughtered to fulfill the sacrifice act and the meat is separated in 3 parts. One for needy and poor, another for friends and relatives and the third part can be consumed by the one who sacrificed. People exchange Eid greetings with each other and enjoy festivities of the day according to their culture. The meat from the sacrifice has to be distributed in three equal parts. The first part has to be given to the poor to show unity and equality. Second part is for relatives and friends. The third part could be kept by the sacrifice himself and his house. This act symbolizes that one is willing to give and share with others and strengthen the bonds with each other as well. The sharing and caring feeling is the blessings to us from Allah and he always keeps records of the sacrifice we make in everyday lives and share with others. It is important that every Muslim should celebrate the two festive holidays with love, affection, and passion. Starting the Eid with morning prayers together and united. After prayer, the sacrifice of animals, visiting friends and family sharing gifts and meat and all the bounties bestowed upon Muslims. Here are some obligations according to Sunnah that has to be followed on Eid day. Bath and use perfume and wear the best clothes. Go for Eid prayer from one route and return from a different route. Not eat anything prior to the eid prayer. Divide its meat in 3 equal parts. 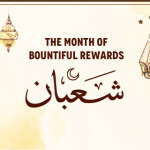 Each for needy and poor, your relatives and friends and the third part is for you to be consumed.